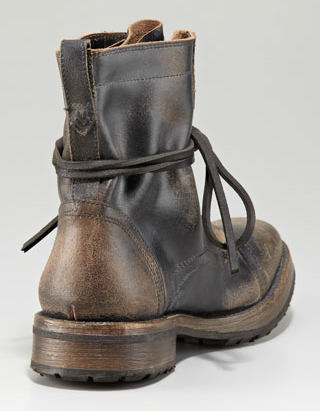 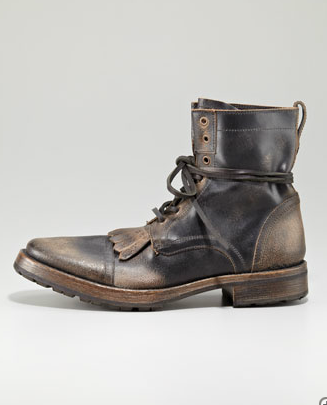 The Fall wouldn't be the Fall if John Varvatos didn't offer up is collection of great broken-in boots. 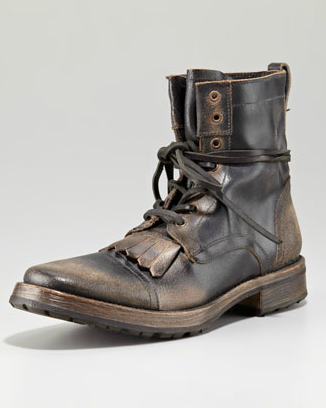 New for Fall is his Tahoe Lugger Boot. 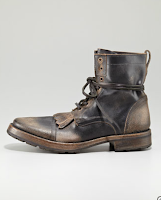 Done up in distressed leather, a lace up front with kiltie and an almond cap toe, this is a great boot of interest for the season. 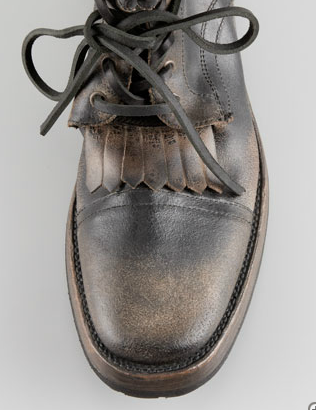 It's turn of the century craftsmanship meets modern innovation. 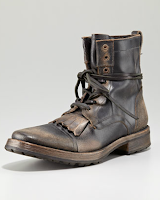 This boot goes well with the bevy of camo inspired and workwear inspired pieces available with a man's wardrobe for the Fall with the added bonus of not worrying about scuffing them. 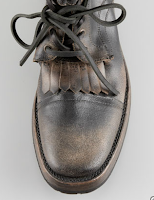 Available now at BergdorfGoodman.com.